The most abundant early-season snowfall in the last five seasons has prompted several Vermont ski areas to move up their opening dates and spin lifts earlier than planned. Mad River Glen will open on Saturday, Nov. 24, with service from 9 a.m. to 3:30 p.m. Saturday and Sunday off its single chairlift. "It will be one of the earliest openings in our illustrious history and it's just the way we were hoping to kickoff our 70th anniversary season," read an email from MRG. Mad River will close then close during the week and "re-evaluate based on weather/conditions." "This certainly is a November to remember as we have seen well over two feet of snow so far this month," stated MRG's email. "This new snow coupled with our vaunted snowmaking effort and our summer drainage work on the mountain has enabled us get an early jump on the season." Magic Mountain will kick off its 2018-19 season with a "White Saturday ski adventure" on Nov. 24. "This will be a one day "soft opening" - for experts only - to get after the goods mother-nature has kindly bestowed on Magic this Thanksgiving,” stated a release from Magic. “It's a one-day-only historic early-open event, a sort of prequel to our official opening day for the ski and ride season which is still slated for Dec. 1 weekend. "For skiing and riding on November 24th, Red Chair-only will spin from 9 a.m. to 3:30 p.m. (no Sunday lift service). This is an all-natural snow ski day, with a good portion of the mountain's trails/glades open. But there are many natural hazards that do exist--especially some natural streams and water bars across trails/lower run-outs that have yet to freeze over this early in the season. We will be working with patrol all day Friday to create navigable pathways on the run-outs as the temperatures drop Thursday into Friday." Bolton Valley Resort announced Monday that it will open for three “bonus days” on Nov. 24 and Dec. 1 and 2. The resort will offer lift access to alpine terrain only during those three bonus days, with plans to open full, seven-day-a-week service for alpine and cross-country on Dec. 8. 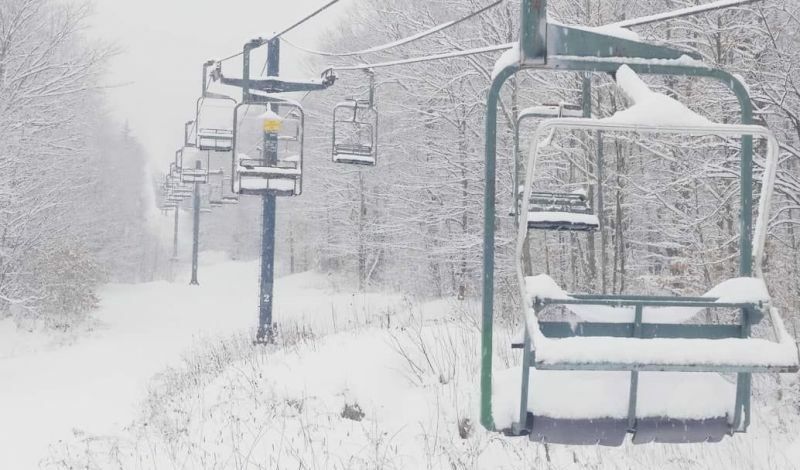 "We’ve already received 4 feet of snow and counting," read a post on Bolton Valley Resort's Facebook page. Burke Mountain moved up its opening to Nov. 23, “the earliest Burke opening in recent memory,” according to Marketing Manager Jessica Sechler. The Mid Burke Express lift was set to begin spinning at 9 a.m., servicing intermediate and advanced terrain. Stratton Mountain opened on Nov. 21, with 13 trails covering 88 acres, serviced by the Ursa and American Express lifts, the Gondola and Cub Carpet. Terrain park features were also in play on lower Tyrolienne. Bromley Mountain, Jay Peak, Magic Mountain and Smugglers’ Notch are all scheduled to open on Nov. 23. Middlebury Snow Bowl has an opening date of Nov. 24. Bromley will begin spinning its lifts at 9 a.m. on “Black Friday,” with giveaways and a costume contest culminating in the awarding of prizes on its Sun Deck at 3 p.m.
Pico Mountain also announced an opening day of Dec. 15. 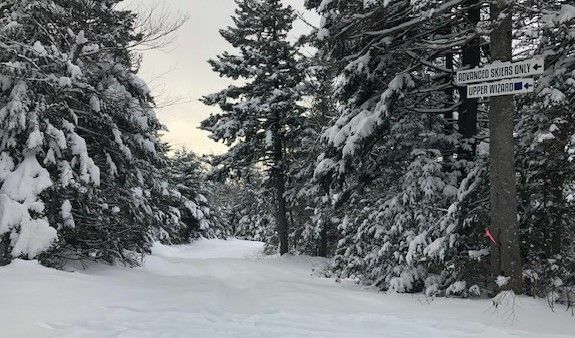 The snow depth at the measuring stake atop Mount Mansfield was close to 20 inches on Nov. 17, the deepest recorded accumulation on that date since the 2013-14 season. Many Vermont ski areas have already opened this season. Killington, Mount Snow, Sugarbush, Stowe, Stratton and Okemo have opened on the alpine side, while Trapp Family Lodge, Craftsbury Outdoor Center and Catamount Outdoor Family Center open for cross country skiing. Rikert Nordic Center has scheduled its opening for Nov. 24.